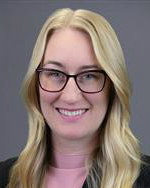 Amy Williams is a litigation services attorney with the Oregon School Boards Association where she represent school districts, charter schools, community colleges, and education service districts throughout Oregon. She provides litigation defense, general counsel advice, and training to clients on a variety of topics. Prior to joining OSBA, Ms. Williams worked for seven years as a Litigation Associate at a private law firm in Sacramento, California where her practice primarily focused on defending school districts in employment and negligence matters. At OSBA, Ms. Williams provides advice and litigation services to member school districts. She is admitted to practice law in Oregon and California. She earned her B.S from Southern Oregon University, and her J.D. from Western Michigan University.